This is a sensitive subject and by my post I do not intend in any way, shape, or form to minimize the plight that the county is in right now. The news today stated that Yemen is nearing" total collapse" as aid is being cut off from the country. I wish I could help but that seems impossible -or at least pretty improbable at the the moment from my perspective. Meanwhile, many rural Yemeni people make all -or a substantial- part of their living off of bringing coffees to market. This is approximately the time of year when these coffees are shipped. Has anyone heard or know what the situation is in the country concerning coffee production? It would seem that everything would be severely restricted if not halted altogether. Again, I do not wish this to appear selfish, or one-sided although some may interpret my post to be exactly that. I enjoy Yemen coffee, but that does not minimize that I care about people earth wide too. I believe wars and terrorism are inherently evil and should never exist in ANY country; coffee producing or otherwise. When the health and well being of humans are adversely affected by war and/or terrorism, it is nothing short of a crime against humanity. Sorry for the diatribe. I am posting this in the hope that there will not be too much blow-back. I apologize in advance if this is a controversial topic; not my goal to create controversy. Just asking a question. Hottop B-2K w barryR thermocouple mod, Mazzer Mini /Super Jolly burrs, Salvatore E-61 group machine, Aeropress, French press. It is a shame that such a great coffee growing region with such history is experiencing political turmoil. I hope those whose livelihood (and lives) depend on coffee can get their product to market. Story out today and if you follow up they will be reporting on the general state of the serious issues in Yemen with regard to the farmers and coffee. Nate there is nothing wrong with your post; thanks for adding this to the forum. I will follow up with other stories I find as well. A few years ago I bought 20 lbs of Yemeni beans thinking I might never see them again. This year I bought 10 lbs of premium Yemeni beans and wonder the same thing. I do what I can and that's all I can do. I agree, good post and well stated position or no position. 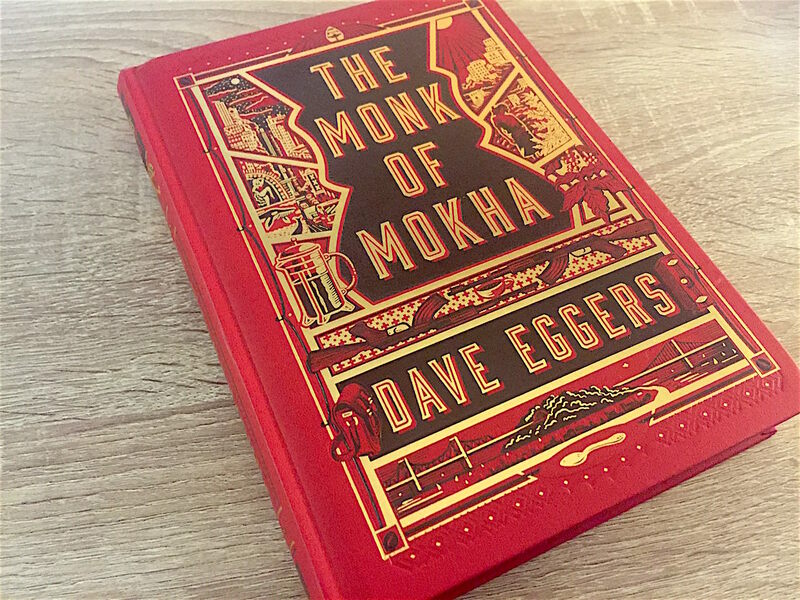 I just finished reading The Monk of Mokha, which chronicles the Yemeni coffee industry and it's recent reemergence into specialty coffee through the experience of a young San Fran entrepreneur whose family had been growing cofee in the Ibb region of Yemen for generations. A highly recommended read if you are interested in Yemeni coffee, or coffee at all! on this book. I devoured it and it was incredible. I stocked up and still have some left. From Toms description of coffee growing in Yemen he says that Khat (Qat) is an alternate crop which growers are inclined to gravitate towards and coffee plants have actually been removed to accommodate it in lower altitudes especially I would imagine. Below is a link to his discourse on the Yemen trip. I could not find the reference to Khat but I do recall it. It would be my guess that the disruption of coffee sales due to the war will only encourage Khat production and decrease coffee production which means the price will soar once peace comes. Khat, if you do not know, is chewed to produce a slight narcotic effect and men from young to old gather to socialize and chew the leaves. The ultra religious may approve or disapprove so we will see how that goes. My concern is that should they attain power and disapprove of coffee sales to the west that that would impact coffee plantings or even destroy them completely. EDIT: I just bought The Monk of Mokha from Amazon (used in hard cover) for just $9.70, can't wait for it to arrive. Thanks for the recommendations. I see that there are 10 copies of this in my county library system but none in my city. Four are currently checked out which is encouraging. I could have waited a few days to get it from the library but I wanted it to go with my collection of coffee stuff. It is a beautiful book. After reading this book I was amazed at the extraordinary claim that the person whose life is described thinks that he is the first person in eighty years to ship quality Yemen beans out of Yemen. Still, it was well written and an accurate historical account of coffee' spread around the world. I read about that before however while perusing Sweet Marias web site. I was also amazed at the fantastic price of supposed Yemen roasted beans on Amazon. $30 to $50 a pound. I am slowly reading it. I keep getting the feeling that some of the names being used are sponsors. They may have good reputations, but, still. None of the other important people in that world are even mentioned. Enjoyable read, but I take it as a novel, not a documentary. SM has 100 bags of Yemen due in late September.